The largest city in Sweden as well as a major economic and financial centre in Europe, Stockholm is a busy destination for business travellers. Along with being the political and economic centre in Sweden, Stockholm is also the country’s cultural and media capital. Situated on 14 islands, Stockholm is connected by a number of bridges built in different eras of the city’s past. A fabulous city that is considered as one of the most beautiful cities in the world, Stockholm is one of the cleanest capitals in the world. The city is not just the winner of the 2010 European Green Capital Award, but is also the most pollution-free city in Europe. The coldest Stockholm gets is around -3 to -50C, in late winter. Daylight is an issue in winters, with barely 6 hours of it shining through the cloudy skies. However, summers are quite warm at 220C and have over 18 hours of sunlight at a stretch. Winters, in Stockholm, are laden with heavy snow while there is usually some rainfall, at all times, during the remainder of the year. Stockholm draws a large number of students as well as working members of society. As a result, there is a lot of emphasis on art, culture, theatre, music and dance. 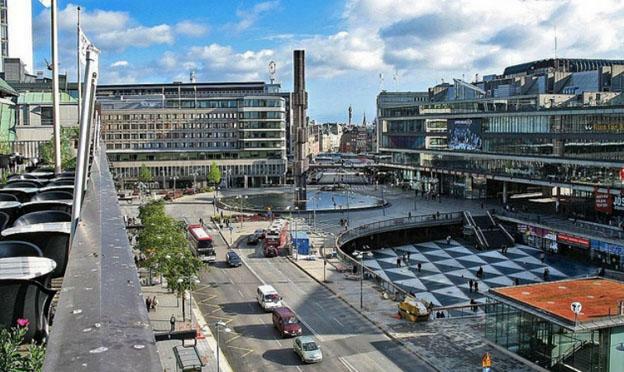 There are many notable authors, such as Carl Michael Bellman and Hjalmar Soderberg who have called Stockholm their home and lent it their wisdom and identity. 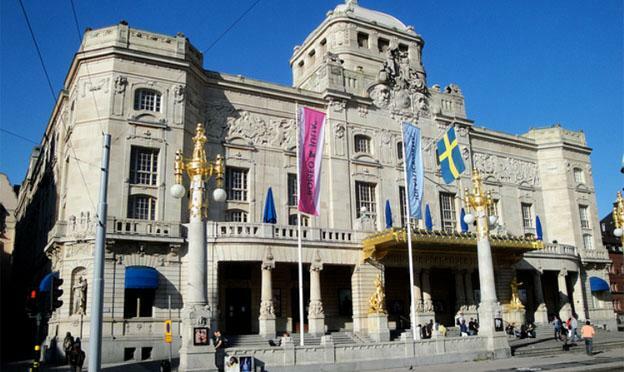 The Royal Dramatic Theatre and the Royal Swedish Opera are a rage across Europe, while the Stockholm City Theatre, the Peoples Opera and the Modern Theatre of Dance are just some of the many centres that offer a performance art-treat. Stockholm has a strong presence in the visual art scene as well, with a number of private and public galleries supporting artists and causes all over Stockholm. Hudiksvallsgatan has emerged as a popular art-district, over the years, enabling artists, galleries and studios to call it “home”. The architecture, in Stockholm, is simply breathtaking. A walk through the city leads tourists through almost all ages & styles of architecture, such as the medieval streets in Gamla Stan or Old Town or the fantastic German influence in churches and palaces all over the city. There are thousands of dining options in Stockholm, with restaurants offering everything from American Fast Food to Classical French and Mediterranean cuisine. Stockholm has 9 restaurants on the Michelin list, two with two-stars. 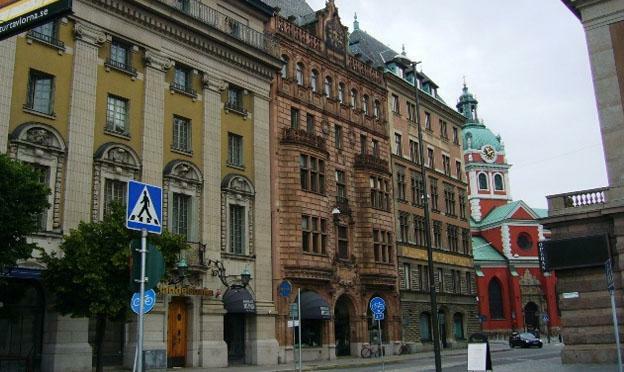 Stockholm has various government and papal buildings that form fantastic landmarks and tourist attractions. The primary draw is the beautiful architecture while the historical significance of these structures cannot be denied. The city is well-connected through public transport while a large number of bikes are available on rent over the Internet. Ferries also connect Stockholm to other cities, in and around Sweden. At the waterfront and in the centre of the business district, travellers throng to the Radisson Blu Strand Hotel for its fantastic location and brilliant amenities. The hotel is just seconds away from the Old Town shopping district and gives easy access to some fantastic restaurants and clubs. The hotel, itself, has won numerous awards for the view it offers. It has a full-service business centre with meeting & conference facilities. While the hotel does not have a fitness centre, it offers discounts to its guests for access to nearby fitness centres. The hotel is built inside an old brick building that has a restaurant and a fantastic bar. 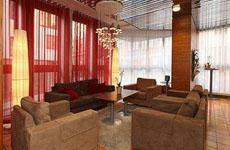 The design is contemporary, but with a fine mix of historical décor and excellent amenities. Less than ten minutes from the City Conference Centre, the Best Western Kom Hotel is truly the best place for business travellers. Three conference rooms, for around 55 people each, along with a comprehensive business centre make it a popular stopover. For pleasure-travellers, the hotel is a haven – surrounded by the most popular shopping and entertainment centres in Stockholm. 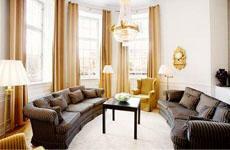 The Galleria Shopping Mall, the Royal Opera House and even the main train station are within 2 kilometres of the hotel. The restaurant at the hotel is fantastic, along with the easy-going bar. Overall, the Best Western Kom Hotel is a fantastic mid-range stay for business and leisure travellers alike. The Hilton Stockholm Slussen Hotel is a traveller’s delight, with its proximity to the Grona Lund Amusement Park as well as the Royal Opera House and the Old Town zone. A short drive from the Arlanda airport, the hotel is a few minutes’ walk away from the train station and just 300 metres from the nearest subway station. 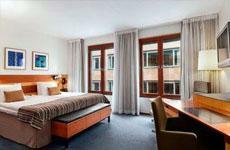 The hotel offers breathtaking views of the ocean, or of Stockholm, to its guests through its 289 rooms and 19 suites. A relatively mid-range hotel, the Hilton Stockholm Slussen hotel is renowned for its excellent service, fantastic restaurant – the Eken Matsal, a cosy bar and a full-scale business centre including 17 meeting rooms and a 285-seater auditorium.